The first football team in Kos.ova was formed in 1923 and it was called "Kos.ova". 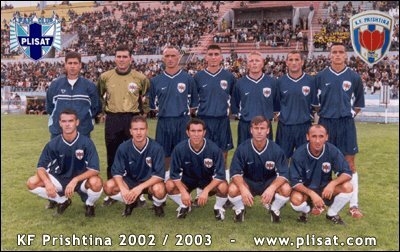 The team was created by soldiers seving in Prishtina Garizon. The first football games used to be played in the area where today lies the centre of Prishtina. Football team was active until the start of World War Two, and then again in the year 1951. In 1952 football team "Kosova" changed its name to KF Prishtina and played in First football league of Kos.ova, and in the Second Football league of former-Yugslvia. 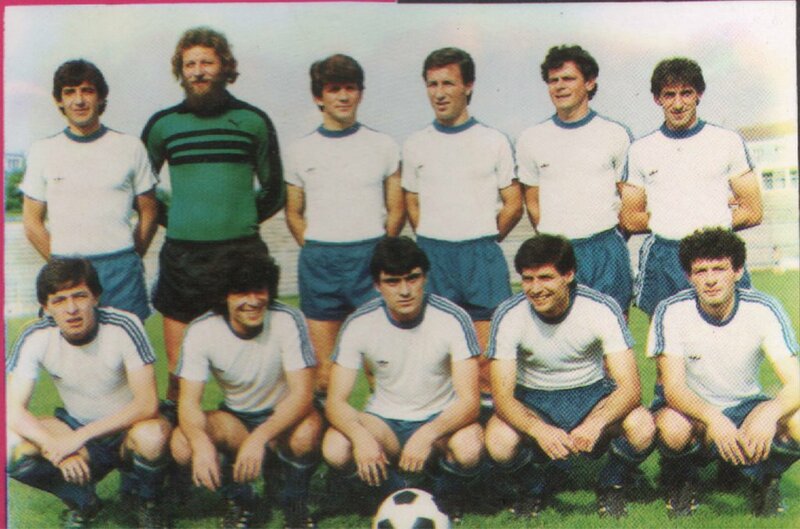 In 1983 Prishtina football club gets accepted in the First league of YUGO where it remains for the next 4 years. In 1991 football club Prish.tina does not accept and agree to the violent measures that were being imposed to the kosovan sport by serbian authorities (shkijet). Other football clubs joined and they form The League of Republic of Kos.ova. After that, the teams were not allowed to play in stadiums so they would play and train in meadows. KF "Prishtina" returns to their football stadium after NATO strikes and the departure of serbian forces. At present, football club K.F. "Prishtina" plays for the First league of Kosova, which is not a member of FIFA or UEFA.